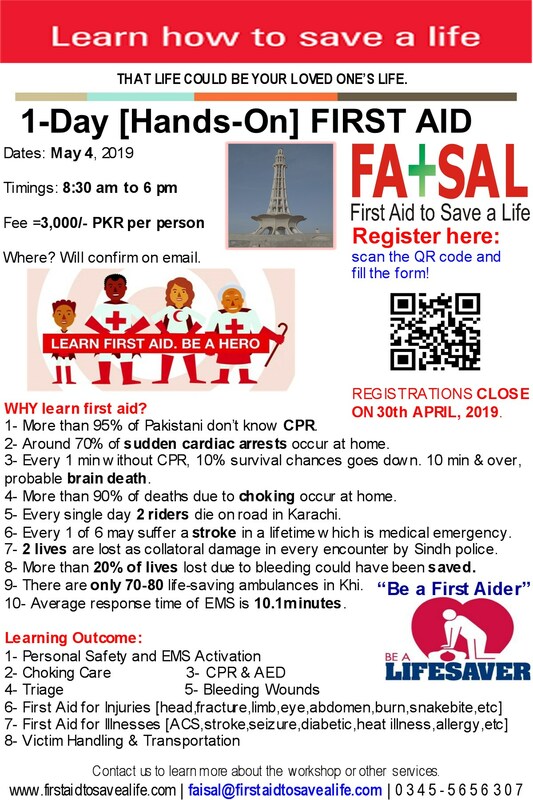 Prestan is definitely the future of CPR-AED training manikins. Prestan Professional Manikins are realistic to the eye and the touch, the manikin is unlike any other in the market. Available individually or in convenient multi-packs of four or a speciality family packs for class training purposes, Prestan manikins are uniquely designed product to support trainers, training centers and learners. All Prestan Manikins are available in three skin tones: light (original), medium and dark. This entry was posted in CPR and AED Manikins, FATSAL Products, Merchandise Items, Online Store Items, Training Manikins and tagged adult aed manikins, adult aed mannequins, Adult Child Infant Manikins, adult cpr manikins, adult cpr mannequins, adult manikins with monitors, adult mannequins with monitor, aed teaching manikins, aed training manikins, authorized distributors of prestan, authorized distributors of prestan in pakistan, child aed manikins, child aed mannequins, child cpr manikins, child cpr mannequins, child manikins with monitors, child mannequins with monitor, cpr and aed mannequins, cpr and aed teaching manikins, cpr and aed teaching manikins with monitors, cpr and aed teaching mannequins, cpr and aed teaching mannequins with monitors, cpr and aed To Your Health, cpr and aed training manikins, cpr and aed training manikins with monitors, cpr and aed training mannequins, cpr and aed training mannequins with monitors, cpr mannequins, CPR Rate Monitor Manikins, CPR Rate Monitor Mannequins, cpr teaching manikins, cpr training manikins, First Aid Equipment Suppliers from Baluchistan, First Aid Equipment Suppliers from KPK, First Aid Equipment Suppliers From Pakistan, First Aid Equipment Suppliers from Punjab, First Aid Equipment Suppliers from Sind, First Aid Equipment Suppliers in Pakistan, infant aed manikins, infant aed mannequins, infant cpr manikins, infant cpr mannequins, infant manikins with monitors, infant mannequins with monitor, jaw thrust manikins, latest manikins, latest mannequins, Manikin Suppliers in Abatabad, Manikin Suppliers in Baluchistan, Manikin Suppliers in Faisalabad, Manikin Suppliers in Gujranwala, Manikin Suppliers in Gujrat, Manikin Suppliers in Hyderabad, Manikin Suppliers in Islamabad, Manikin Suppliers in Karachi, Manikin Suppliers in Kashmir, Manikin Suppliers in KPK, Manikin Suppliers in Lahore, Manikin Suppliers in Multan, Manikin Suppliers in Pakistan, Manikin Suppliers in Peshawar, Manikin Suppliers in Punjab, Manikin Suppliers in Quetta, Manikin Suppliers in Rawalpindi, Manikin Suppliers in Sialkot, Manikin Suppliers in Sind, Manikin Suppliers in Sukkur, manikins available in pakistan, manikins family packs, manikins in pakistan, manikins with monitors, mannequins available in pakistan, mannequins family packs, Prestan Adult Manikin, Prestan Child Manikin, Prestan Family Manikins, Prestan Family of Manikins, Prestan Infant Manikin, Prestan Manikins, Prestan Pakistan, Prestan Professional Training Manikins, Prestan Ultralite CPR-AED Manikins, Prestan Ultralite Manikins, professional aed manikins, professional aed teaching manikins, professional cpr and aed teaching manikins, professional cpr and aed training manikins, professional cpr manikins, professional cpr teaching manikins, Safety and Prosperity, Ultralite CPR-AED Manikins, Ultralite Manikins. Bookmark the permalink. Sir we need mannequin family of one adult one child and one infant. What will be the prise. Replay me as soon possible.